Yes, it's that time of year again - although I'm actually a bit late with my annual look in the cultural rearview. And to tell true, 2014 was not the most spectacular of theatrical years; still, several productions held their heads well above the rest - so without further ado, here are a few final bouquets tossed to the shows that brought me the most pleasure over the past twelve months. 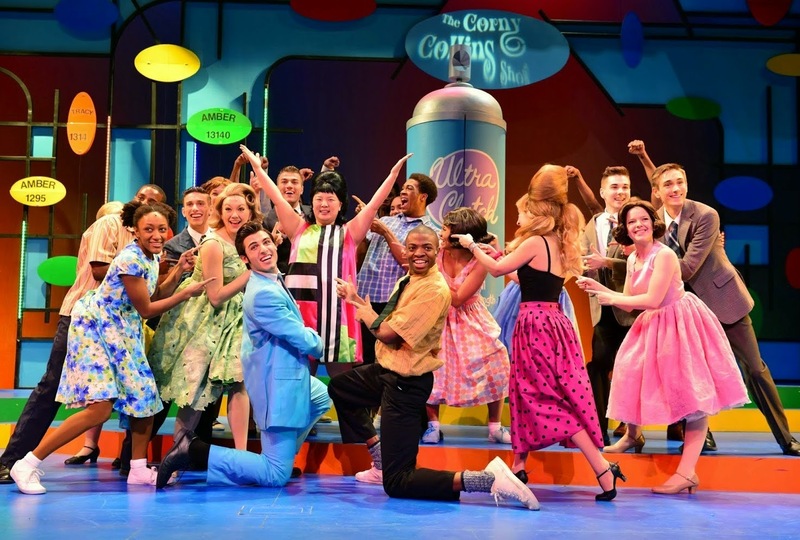 The Wheelock Family Theatre's Hairspray. Hairspray - Wheelock Family Theatre. This slick, sweet production of the Broadway musical pushed at the PG envelope a bit, but never actually tore through it. Bright design, bouncy dances, tight direction and an exuberant cast (led by local lights Robert Saoud, Aimee Doherty, Jenna Lea Scott, and Peter Carey) made this easily the breeziest show of the year. Death of a Salesman - Lyric Stage. Artistic director Spiro Veloudos kicked off a remarkable year with this devastating revival of Arthur Miller's classic tragedy of fathers, sons, and mothers trapped in a toxic version of the American dream. No, the production wasn't flawless - but Veloudos communicated the greatness of the play itself, several performances were among the best of the year (particularly Paula Plum's and Kelby Akin's) and that's more than enough for me. 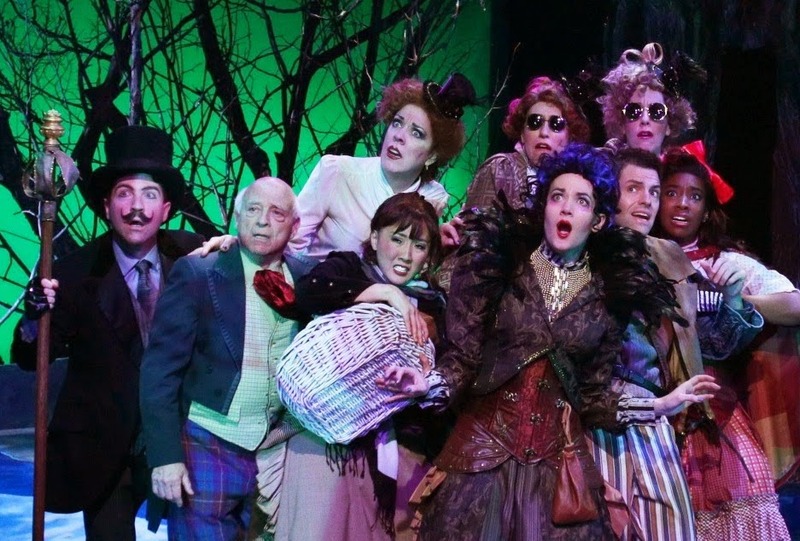 The talented cast of Into the Woods at the Lyric Stage. Into the Woods - Lyric Stage. Veloudos produced a second memorable hit just a few months after Salesman with this assured version of the classic Sondheim musical (and his Sweeney Todd almost made this list as well). More startling still, he managed to re-invigorate a text that's on the edge of over-familiarity with a persuasive new viewpoint: this time the travails of parenthood became a key focus of these amusingly Grimm fairy tales. Imaginative design, talented actors, and pinpoint casting did the rest. Krapp's Last Tape - Fort Point Theatre Channel. Basement Beckett is often a risk - but under the astute direction of Marc S. Miller, local light Steven Barkhimer proved remarkable in what amounts to almost a Beckett self-portrait. Indeed, I wrote at the time that Barkhimer had perhaps achieved the most profound performance of the season. And I haven't changed my mind. Lovers' Quarrels - Imaginary Beasts. The Beasts were at their witty best in this little-known Molière (recently translated by the great Richard Wilbur). Although the script dates from the playwright's provincial period, Le Dépit Amoureux has passages that are worthy of his late masterpieces - and the Beasts carried the action off in high commedia style - not to mention high style, period. Easily the most charming show of the year. Bad Jews - SpeakEasy Stage. For once, SpeakEasy abandoned its customary victimology in this biting look at the internecine culture war being (quietly) waged among American Jews. It's perhaps worth noting that this season seemed to mark a general roiling in our Jewish culture: between Imagining Madoff, The Whipping Man, Bad Jews, Awake and Sing!, The Tale of the Allergist's Wife, and Six Hotels, Jewish self-examination (and even recrimination) seemed a constant on the local boards. But SpeakEasy's customary slickness - and Rebecca Bradshaw's razor-sharp direction - gave Joshua Harmon's bitter comedy of identity a particularly ruthless edge, and showcased yet another best-of-year performance in Alison McCartan's leading turn as Daphna, Harmon's self-dramatizing "über-Jew." The Old Man and the Old Moon - PigPen Theatre Co. at ArtsEmerson. 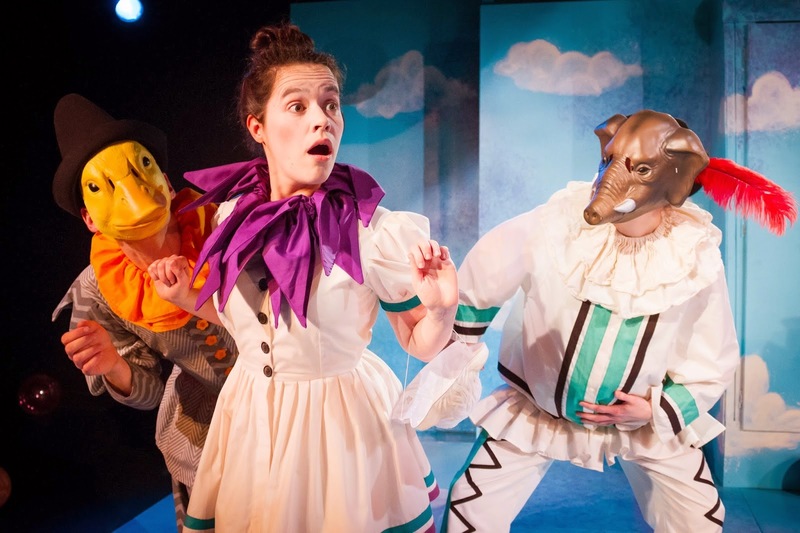 This fetching valentine to the magic of storytelling was also the year's most epic piece of DYI theatre. The set was merely sheets and lamps and spare lumber, but the lads of PigPen fashioned these simple means into a captivating fairy tale - one that followed the eponymous Old Man on a journey of self-discovery - which seemed to both tell and swallow itself simultaneously, in something like the style of Italo Calvino. 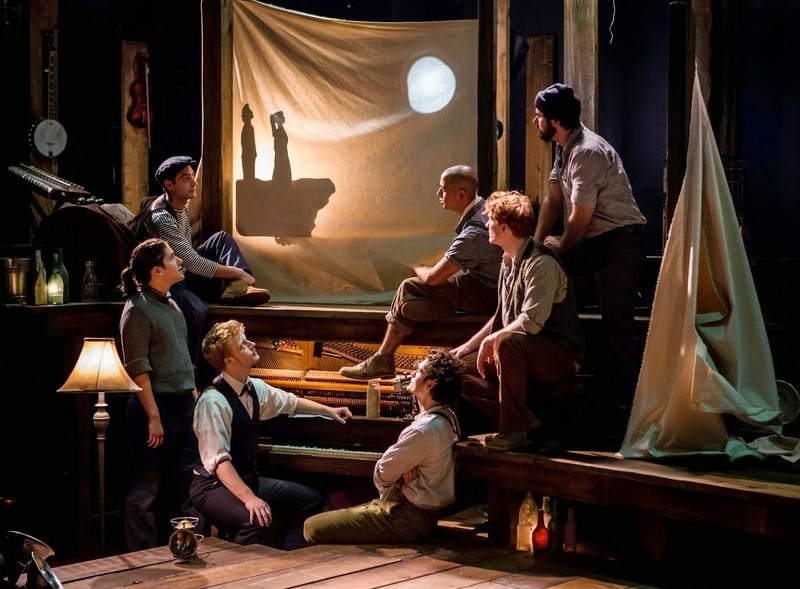 You could argue that in the end The Old Man and the Old Moon lacked the deeper, darker shadows to be expected in a truly resonant folk tale; but the bewitching stagecraft, and the genially bemused camaraderie of the PigPen players themselves, more than made up for that. Will Lebow exhorts the Huntington cast to Awake and Sing! Awake and Sing! - Huntington Theatre. 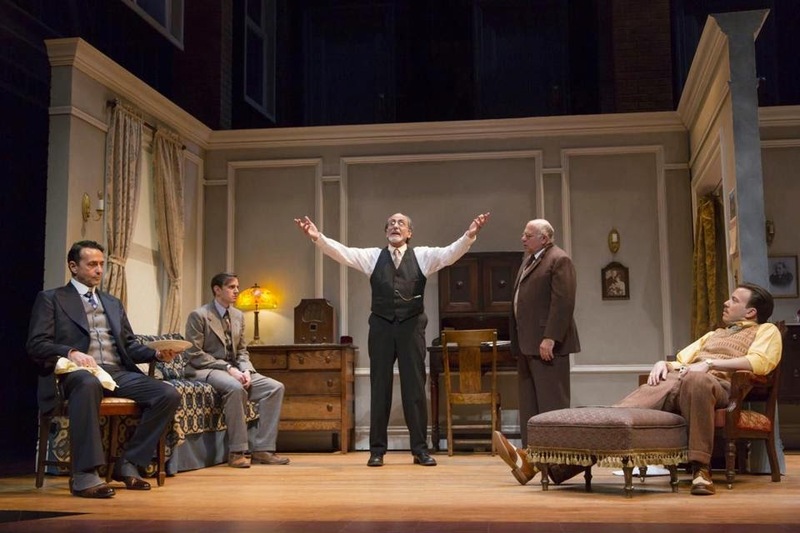 It's rare enough to spot Clifford Odets on our local boards at all; so to see him done well, in a major production at the Huntington, was quite a treat. Not that I didn't have my arguments with director Melia Bensussen's interpretation - which to some degree gently undercut this author's bristling pugnacity. But several remarkable acting turns (from Will Lebow, Eric T. Miller, and Annie Purcell, among others) coupled with Bensussen's own subtle sense of how political circumstances shape character, still put over the essence of this forgotten playwright's song. Well, that's a wrap of my "Best Of" list for 2014. But I feel a few other productions (which nearly made the list) still deserve mention - so I will ponder them in a second installment of my look back at the year that was.